All Vineyard libraries report circulation is up this year. Reading is alive and well on the Vineyard, librarians agreed this week, as they reviewed circulation numbers that show material lending is trending upwards across the Island. Circulation statistics from each of the six Vineyard libraries tell similar stories of increased engagement among residents and visitors. And at some libraries, circulation rose dramatically in the last fiscal year which ended June 30. Circulation spiked 36 per cent at both the Edgartown and the Oak Bluffs libraries over the previous fiscal year. Total circulation reflects items checked in and out of a library system. “We have done a lot of work this year to reach out to the community to try to meet the needs of the community,” said Jill Dugas Hughes, director of the Edgartown library. 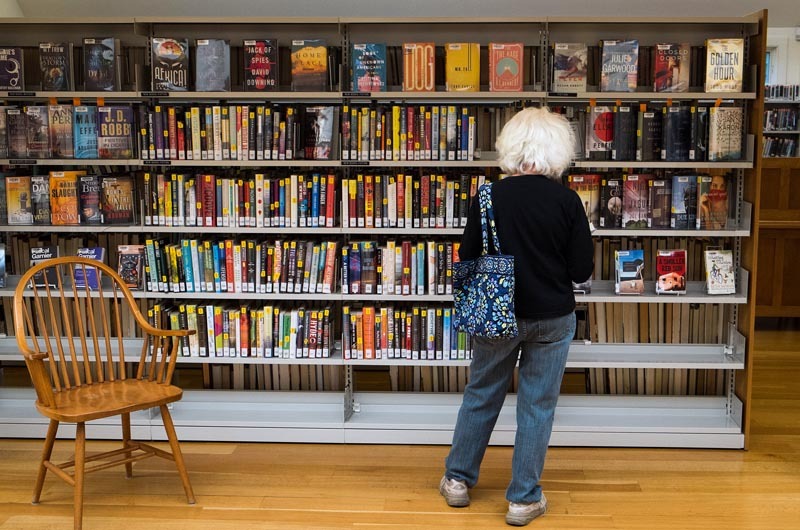 Strong gains were observed elsewhere, as libraries up-Island adjusted to the CLAMS material sharing system and the West Tisbury library moved into a renovated building. The Oak Bluffs library also had a particularly strong summer, which saw the busiest day in its history on August 19, with 900 visitors coming through the library doors. Nearly 11,000 visitors came through the library in the month of August. Library director Sondra Murphy said the increase is due to the fact that the library has begun to host more events and regular programs, along with hiring key staff members, including a reference librarian and a children’s librarian. Also down-Island, Edgartown’s circulation is up by more than 20,000 due to improved outreach, diverse programming and increased hours of operation, Ms. Hughes said. A recent strategic planning process involved stakeholders in a conversation about their library needs. The library received 706 responses to a survey that addressed hours of operation, preferred materials and programming. “The community gave us some really good advice and feedback in the survey and we have tried to craft our programming to it,” Ms. Hughes said. The survey revealed that library patrons want their library to be open seven days a week, she said, though funding has not yet made that possible. In March, the library added Monday as a sixth day of operation. In Edgartown there is also a lot of excitement surrounding the construction of a new library, which should be complete by June of 2015. The new building will be more than twice the size of the current space in downtown Edgartown. “The library can be the answer to a lot of things,” Ms. Hughes said. While gains in circulation and visits were also observed up-Island, library directors there caution that their tallies must be interpreted in context since they only recently joined the Cape and Libraries Automated Materials Sharing consortium, which connects them with 36 other libraries across Cape Cod. The change took place in the winter and spring of 2013. As a result, materials now circulate more broadly and up-Island patrons have access to more materials — more than 1.6 million books, DVDs, audiobooks and more. Before they joined CLAMS, the three libraries shared materials with other libraries on a more limited basis, through an inter-library loan program, though each library’s holdings were generally not visible to cardholders. The Aquinnah library, which is housed in an 850-square-foot building that historically held the community school, saw a 67 per cent jump in circulation after joining CLAMS. Before the switch, Aquinnah did not have an online catalogue of materials available for loan. The renovation of the West Tisbury library skewed the numbers at that library and at neighboring libraries where many of their patrons took their lending. 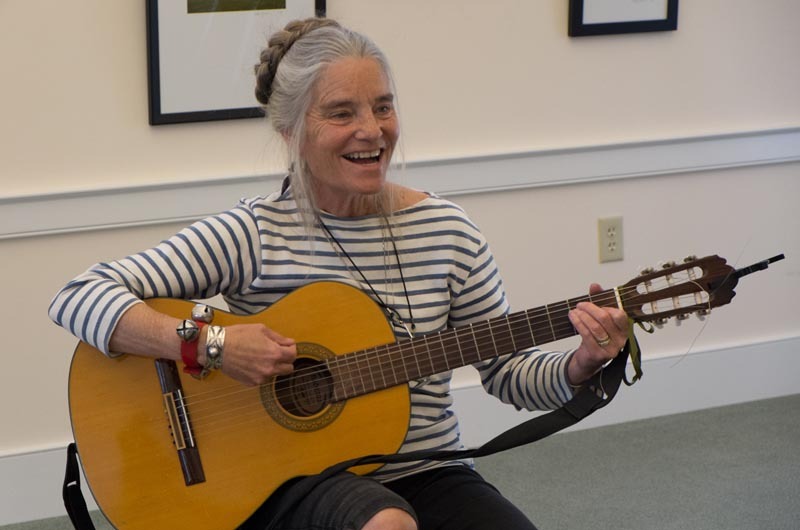 During the 14 months that the West Tisbury library was relocated to a smaller building, patrons took their business to the Chilmark and Vineyard Haven libraries, and even to Oak Bluffs and Edgartown, said library director Beth Kramer. These libraries saw a temporary jump in circulation and visits as a result. Circulation at the Vineyard Haven library dropped slightly, by about five per cent, which director Amy Ryan attributes to some degree to the reopening of the West Tisbury library. Chilmark’s circulation numbers also saw a temporary benefit from the relocation of the West Tisbury library, said Ebba Hierta, the Chilmark library director. She observed a 9.4 per cent increase in circulation between fiscal years, and attributes some of the jump to CLAMS membership. “It’s a happy thing because it means our materials are seeing more use and our patrons are having access to lots and lots more stuff, so we’re real thrilled,” she said. Since their grand opening in late March, the West Tisbury library has counted 74,275 visitors. She’s also tracked a 20 per cent increase in circulation above figures prior to moving into temporary quarters. In addition to circulation, librarians also track engagement, using people counters stationed at the entrances and by observing trends in library card holders. The number of library card holders who are also Edgartown residents rose 28 per cent in the last year. In Oak Bluffs, nearly every resident has a library card, Ms. Murphy said. In Chilmark, a town of 866 residents, more than 500 residents have Chilmark CLAMS cards. In Aquinnah, a community with about 330 residents, there are 166 registered borrowers. Some residents of up-Island towns hold cards in neighboring towns, in some cases because their libraries were slower to join CLAMS. For example, the Vineyard Haven library counts 7,786 card holders, but only 3,569 are Tisbury residents. Many of these may also be regular summer visitors. Over the past few years, libraries Islandwide have worked to increase visits and card holders by holding innovative programs. Oak Bluffs has made a concerted effort to reach out to a younger readership, Ms. Murphy said. Programs like a library mini-golf event held this past winter drew a younger adult crowd, she said, and a lot of those people have since become official patrons. “I think it all starts with programs,” she said. She said all signs point to a healthy reading population in her town and others. She and other librarians agreed that the Vineyard libraries have earned a loyal customer base, which continues to grow each year. 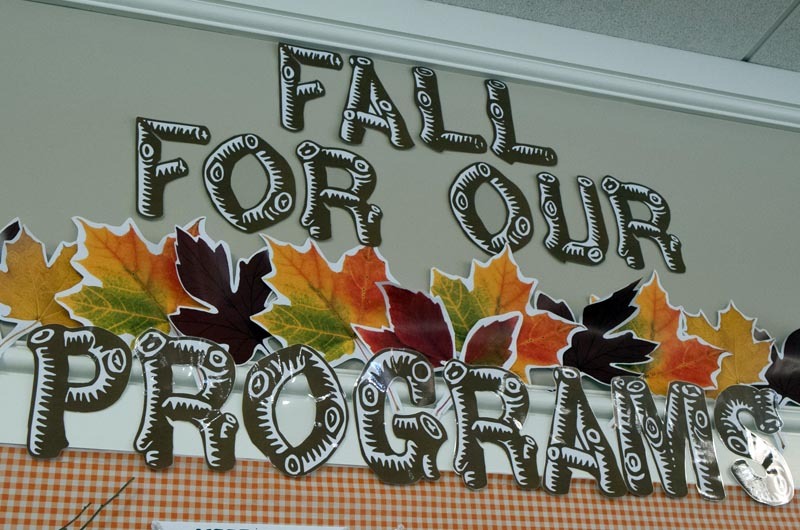 “The fact that we have six fabulous libraries that are well supported in their budgets and well attended says a lot for literacy on this Island,” said Ms. Hierta in Chilmark. The claims system is great, they can find almost any book and if not Anna at the OB library will try and order it for you. I am sure the other Libraries do the same but being 5 min away I go mostly to OB. My preference are the audio books and that has become an unlimited source of great books. PS: I still do read when am not carving.